Happy Monday! It’s almost been a year since I was last in Miami. 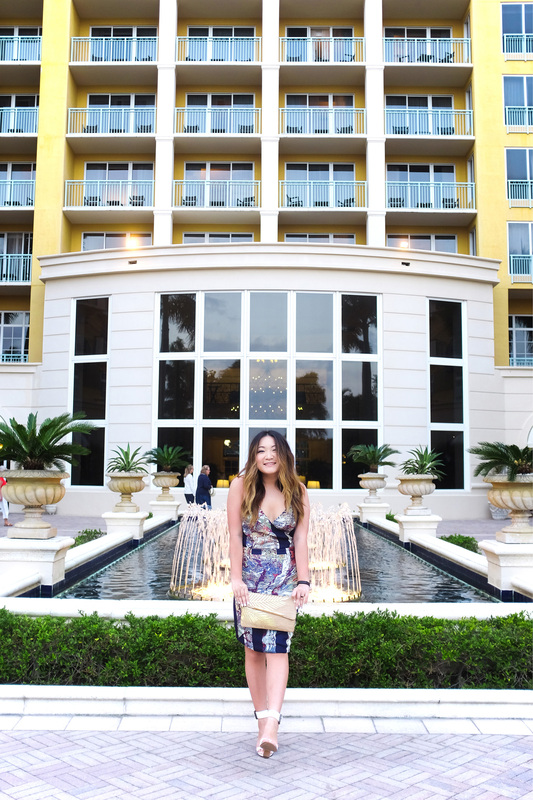 When we were down in Florida last weekend, I wore this silk print dress from Swedish brand Stylein for a night out in town, which started with an amazing seafood dinner at Oceanaire. I’ve been such a big fan of knee-length dresses these days. It’s a much more sophisticated silhouette and leaves so much more to be desired! For accessories, I love pairing it with resort-ready clutches that still keep it dressy. As a lover of a good height boost, wearing high-heeled sandals was the perfect finishing touch to the look. Andy and I have been loving the picturesque grounds of the Ritz Carlton Key Biscayne (an island south of SoBe). It’s serving as the perfect backdrop for these photos. More on the trip, coming up! Beautiful dress, you look remarkable.